About Us — Mystic Oil Co. Mystic Oil Co., Inc. is a wholesale petroleum distributor in Southeastern CT supplying businesses in CT, RI, MA and NY. Led by the fourth generation of a family business incorporated in 1956, its roots date back to 1914. With each generation brought new focus—Bulk oil terminals in the 1950s, home heat through the 1990s, a retail c-store chain into the 2000s and now fully focused on wholesale petroleum distribution. Mystic Oil Co., Inc. combines its understanding of the modern hypercompetitive retail environment with generations of industry experience to deliver unparalleled customer service to its clientele. We strive to be on the cutting edge of technology, separating Mystic from the rest of the pack. We offer Inventory Management so you never run out of fuel, backoffice automation for timely and accurate documents and reporting, a real time portal for fuel price history, credit card detail, invoice history, EFT history, customizable reports, account alerts, online ordering and so much more. We also have our very own app available on Android and IOS. Fourth-generation Peter Zelken has been working for the family business since 1995 starting within the c-store chain. After graduating from Boston University with a BS in advertising, he returned to the family business in 2005 and garnered enough experience to eventually purchase Mystic Oil in August 2017. Creative and energetic, Peter is fully focused on innovative petroleum wholesaling and is comfortable at the helm of one of the fastest growing distributorships in the Northeast. Frontline of Mystic Oil Company, Kaylee handles Mystic Oil’s billing activities for accounts receivable and accounts payable along with miscellaneous accounting transactions. Kaylee joined the Mystic Oil family in 2015 with a Bachelor’s Degree in Accounting from Central Connecticut State University. With her experience in a variety of work environments she brings a valuable component of customer service to the Mystic Oil team. 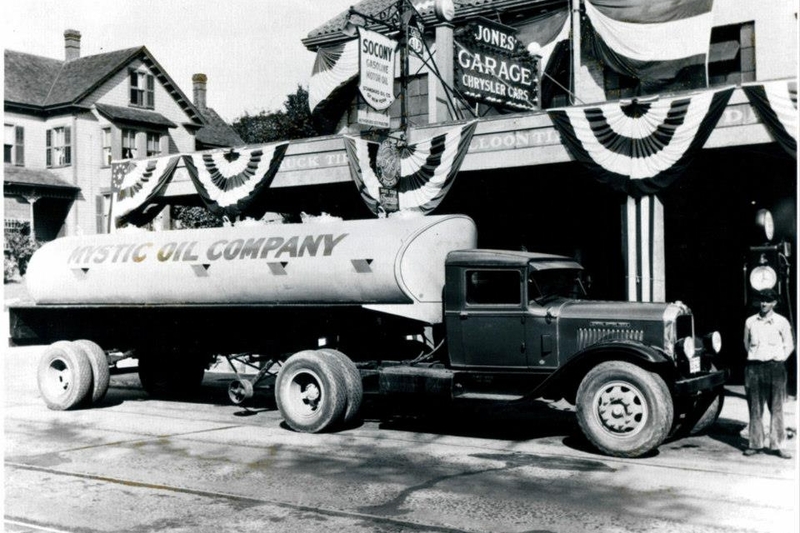 Bill has spent most of his career in wholesale petroleum beginning with Republic Oil in Willimantic, CT. He made such a great impression on Mystic Oil that he came over with the acquisition of Republic Oil in 2007 and has been here ever since, tirelessly working around the clock to ensure timely deliveries and efficient purchases. Bill oversees dispatch, daily pricing, common carrier management, inventory management, and purchasing. Joining the Mystic Oil team in May of 2017, Nathan brings an expansive wealth of knowledge and experience garnered since entering the petroleum business in his late teens. Some 30+ years later, his experience includes sales, retail operations of C-store chains large and small, real estate development, store design, merchandising, contract negotiation and construction. Focusing on expanding the company footprint and discovering new opportunities, Nathan is always looking for ways to grow business in ways that benefit our customer partners. Working for a distributor that prides itself on its relationships, his knowledge base brings value to customer partners—current and future. Josh joined Mystic Oil in 2018 after having worked in Big-4, manufacturing and higher education environments over the previous 17 years. Though his work experience covers a broad range of topics, his areas of focus include M&A, internal controls, complex debt and equity transactions, and budgeting. A native of Connecticut, Josh holds Bachelor’s and Master’s degrees in Accounting from the University of Connecticut, and is a member of the AICPA. Mystic Oil Company values its responsibilities in the community by participating in community causes and charities. We proudly support the ExxonMobil Educational Alliance Program. Since its inception, the program has contributed over $34 million to schools nationwide. The program allows Mystic and its ExxonMobil branded dealers the opportunity to partner up and help fund math and science programs at local schools in need. We are also proud members of CEMA, advocating the interests and giving a voice to our independent dealer network all the way up to Hartford.